Below are two sample trial transcripts from a motor tort cases. The first is a herniated disc liability dispute case where the jury gave the plaintiff more than both insurance policies and the defendants ultimately paid more than the verdict after quitting on the appeal and allowing post-judgment interest to accumulate. The second trial is broken up so you can more easily look at the pieces. This case is a stipulated verdict in the case so there is no damages/harm testimony. 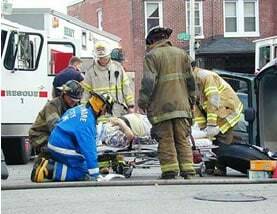 The case deals solely with the question of who was negligent in the car accident. The plaintiff alleged that a tanker-trailer carrying fuel oil cut him off in traffic, causing him to swerve into the adjacent lane, where he was struck from the rear by another vehicle. He filed suit against the owner of the tanker truck and the driver of the vehicle that struck him from the rear. The defendants claimed that plaintiff was responsible for the car accident. The case was tried on the issue of liability only, pursuant to a stipulated verdict agreement. We like this case as a sample trial transcript because all three lawyers involved in the case are good, experienced, attorneys and the issues well developed but simple so the reader gets a full range of what happens at trial. You can read the full transcript or break it out into individual pieces (if you open the full transcript, it is fairly large and may take a few moments to open). For more sample trial transcripts and witness outlines, click here. How Much Should I Get For My Claim?